Following the 2012 launch of the RSⅡ, the RGⅢ arrives on the scene as more refined version of the RGⅡ, highlighted by the same side-cut spokes. 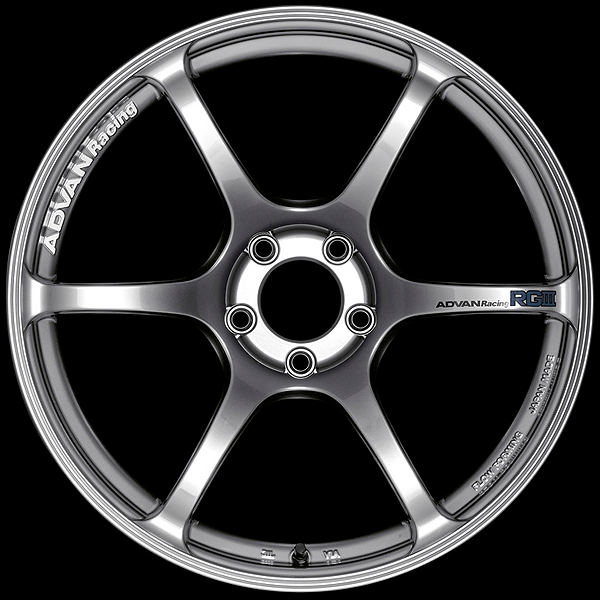 Based on the RGⅡ’s six-spoke design, the spokes are longer, with a concave design dipping toward the center of the wheel. 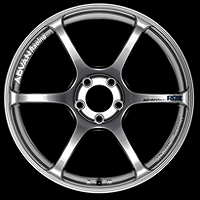 Inner-rim formed, one-piece form-forged wheel produced with high-density forging and flow forming. 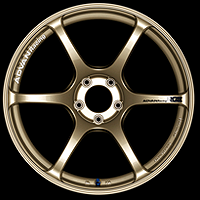 A different design with a differing concave portion is set for each inch size. With 17-inch wheels, only the standard design is available; the 18-inch wheels come in GTR and Standard designs and Super GTR design with its powerful concave spokes; and 19-inch wheels offer two designs, GTR and Super GTR. 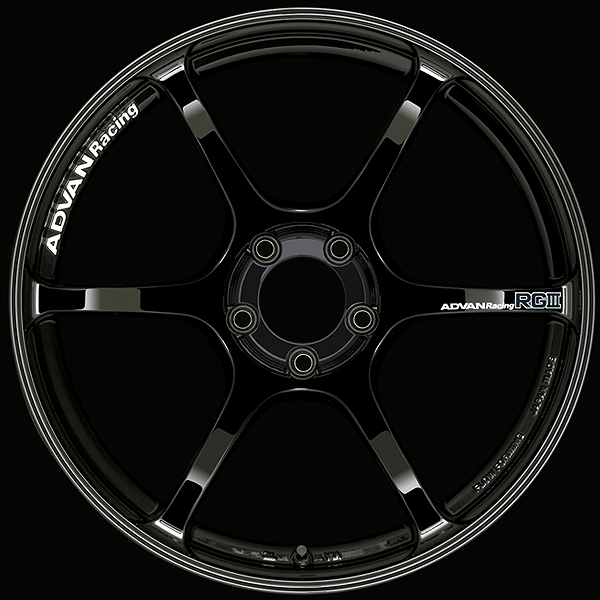 The ADVAN Racing logo is embossed in letters 1mm high on the rim between the spokes. 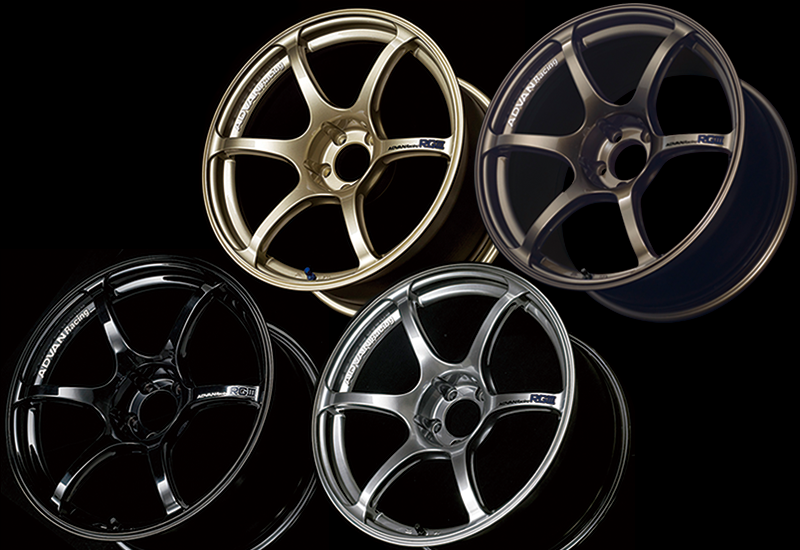 Then, after painting, the faces of the letters are finished in aluminum. 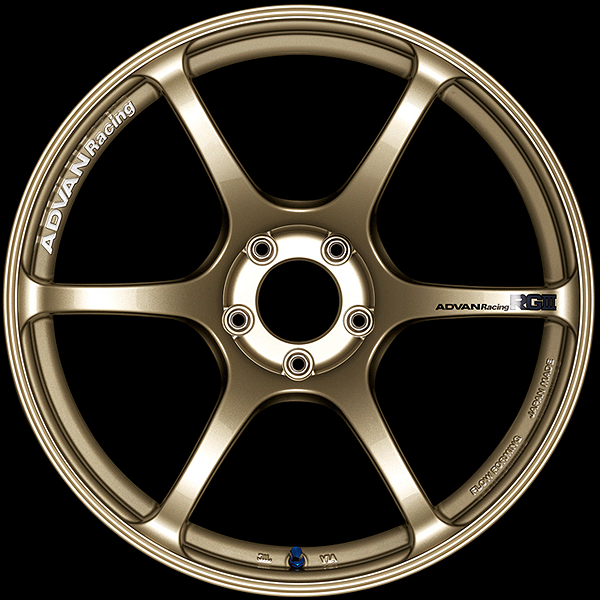 As usual, Available colors include full-gloss Racing Gloss Black and Racing Hyper Black, and now, gold, a brand new color; and the Racing Gold Metallic (not available for imported cars), invokes a cool metallic effect. 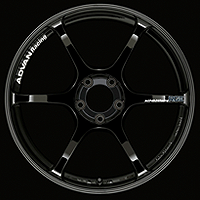 ADVAN Racing RGⅢ spoke logo stickers (dark blue for the Racing Hyper Black and Racing Gold Metallic, and white for the Racing Gloss Black) come with all wheels. The GTR design traces its beginning back to the first- generation RG model, which had the concave specialty spokes developed for use in R32GTR wheels. Since then, those spokes were standard GTR designs. 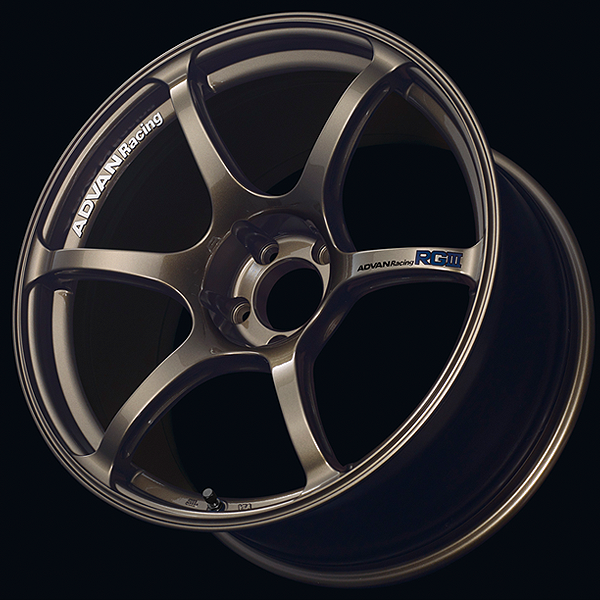 And the Super GTR design offers even deeper concave spokes with the RGⅢ 18- and 19-inch wheels. 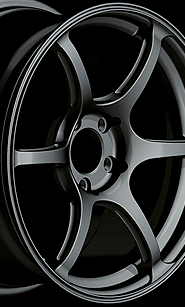 This dynamic look harkens back to the design of all previous RG lineups.